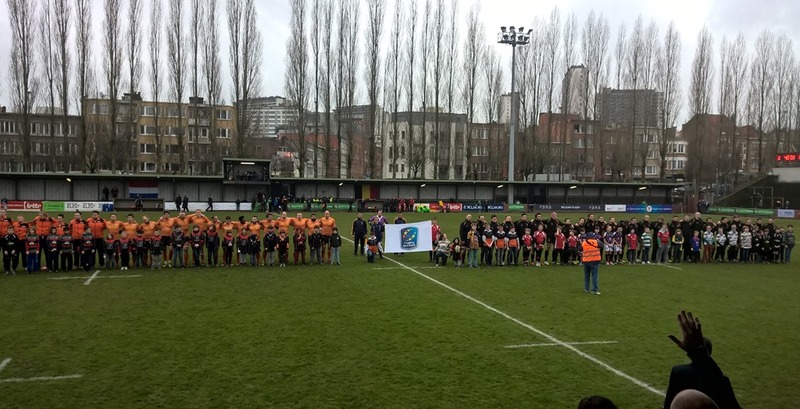 While David Cameron was busy with his European colleagues in Brussels, I was also in the city for another meeting; that between Belgium and Holland in Division 1B of the European Nations Cup. I had planned this trip for a while as part of the Unity project where Eastern Counties, along with Notts, Lincs and Derby, are linked with the Belgian Rugby Union to help them develop rugby in the country. We had intended to run a volunteer workshop on the morning of the game but for one reason or another it was postponed until later in the season. 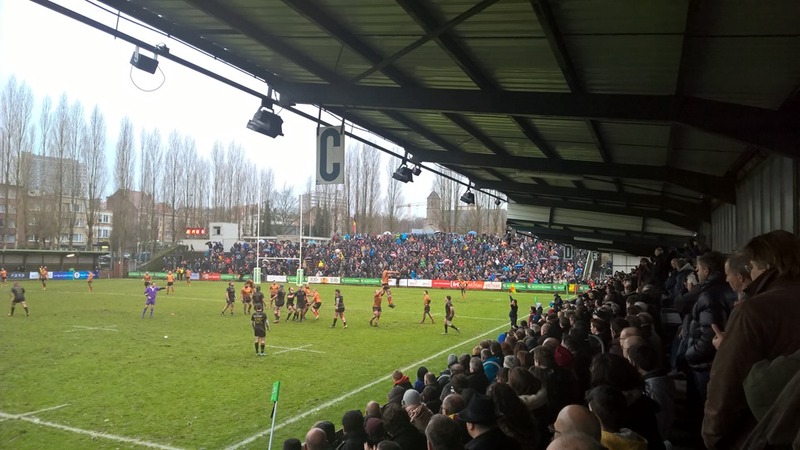 Nevertheless, I decided to carry on with the trip so I could catch up with friends I had made since the project began, make some new contacts within the Belgian Union, and I would get to watch some international rugby at a different level to to the Six Nations. 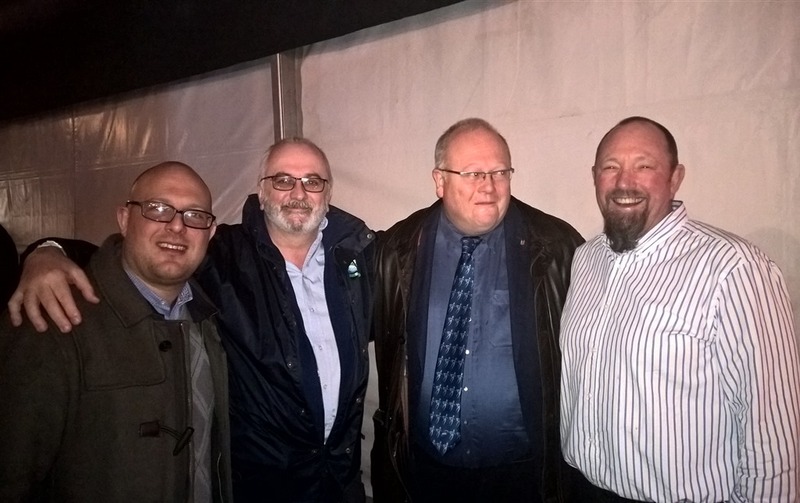 We took the Eurostar on Friday afternoon and had dinner with former BRU President Jan Coupé. We spent the evening talking about the fortunes of Belgian and English rugby and the deal that Cameron was trying to reach with Europe, followed by a coffee and a Ricard in a bar before retiring to our hotel. On Saturday we were met by Raf Renders who would take us to the game at the Heysel Stadium. Not the Heysel itself but a much smaller stadium in its shadow called the Petit Heysel. 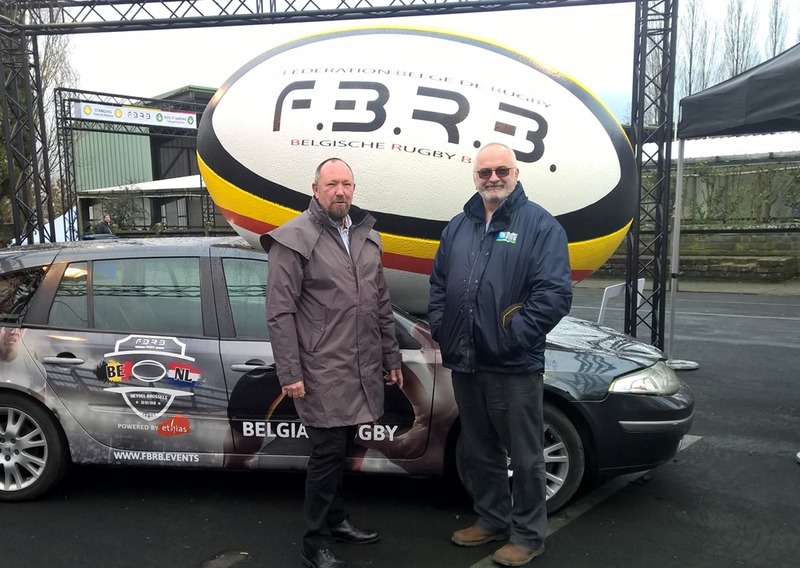 The Belgian Union is making a big effort to raise awareness of rugby in the wake of the World Cup so they had put up a hospitality marquee with beer supplied by the Union’s sponsor Bofferding, which ironically is brewed in Luxembourg. By the time the game was about to start the tent was doing a roaring trade but the tent soon emptied and the 4000 to 5000 spectators filled the stands of the stadium. Belgium lay 29th in the World Rankings and Holland 33rd, but everyone I spoke to was confident of a Belgian win although you can never be quite sure with a local derby. As the game was not being played on an official international weekend, French clubs were not obliged to release any of their international players which meant that Belgium were without three of their best players. However, it was Belgium that started the better, despite the constant rain, and two first half tries and a penalty saw them go into half time with a 17-3 lead. After the break Holland had their best spell scoring a try to reduce the deficit to 17-8, but Belgium soon took control of the game and through their very useful back line scored two more tries, securing a vital bonus point, to record a 32-8 win and go top of the Division 1B table. After the game is was back to hospitality to discuss the game and do some networking. I said hello to various people I had met as part of the Unity project as well as a lot of new people that had got involved with Rugby in Belgium. There were a number of British people living in Belgium that were helping out but I was surprised to find out that the European Parliament has a rugby team and it may be worth putting them in touch with Commons & Lords RFC for arrange a game, assuming we remain in Europe that is! As people started to drift away we went back to the hotel for something to eat then a nightcap before bed. I am writing this on the homeward bound Eurostar on Sunday where I can reflect that wherever you are in the world the five Core Values of Rugby remain (Teamwork, Respect, Enjoyment, Discipline and Sportsmanship), but I would like to add a sixth: Friendship.